You can legitimately start a medical marijuana business under the law. The on-line video course answers questions about your rights and your patients rights under California marijuana cultivation law, how you can legally grow for a club and how you can start a collective delivery. 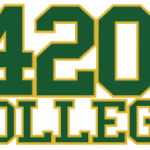 The on-line video course provided by 420 College will help you connect the pieces. Taking these courses will help you position yourself in a growing industry. Testimonials of people who have gone to pay just $150 for the on-line video in order to follow the course reveal how they are satisfied. This is a win-win situation where you obtain all the knowledge with regards to starting a medical marijuana business and California marijuana cultivation law and along with that knowledge we provide added tools in order to generate traffic so that you can grow fast and obtain success. We include free of charge a manual which will teach you the basics of search engine optimization. In the manual you will learn how to although having a low ranking website, you can dominate search engine such as Google and yahoo in order to be ranked at the top and bring traffic to your business. When following these courses, you will have the opportunity to meet the industry professionals who are at the core of 420 College and the medical marijuana economy in California as well as like minded individuals who will share their stories on the benefit of the market. 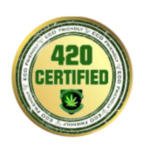 You will after finishing the course have the confidence and business mentally of highly qualified individuals in the medical marijuana business and will certainly like many others go on and establish a successful medical marijuana business anywhere in the State of California.